Posted in: ECX RC, Radio Control. Tagged: New Releases, RC. 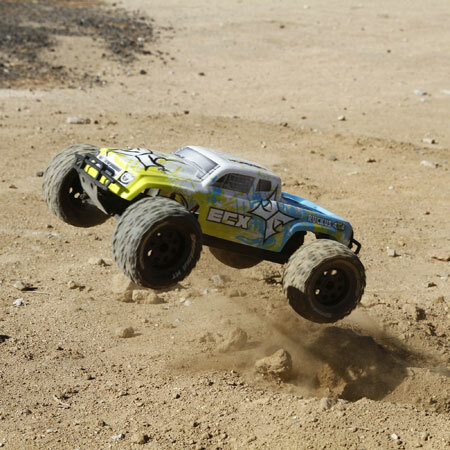 ECX has listen to their customers and released 4wd versions of the Ruckus, Torment and Circuit trucks. All three trucks have new platform designed for durability. 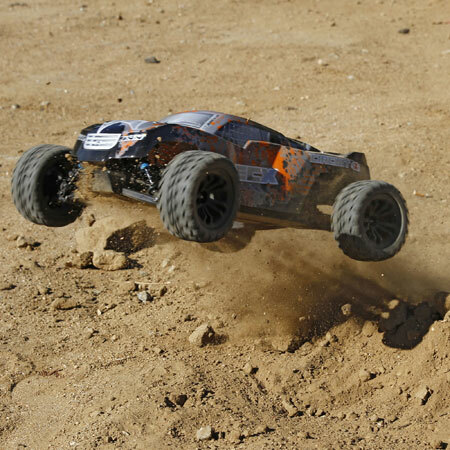 All of the vehicles will be completely ready-to-run with everything needed in one box, 4WD Drivetrain with sealed gear differentials, 550 15T sized motor and LiPo (2S LiPo compatible) ready ESC and a Spektrum™ DX2E 2.4 GHz transmitter and waterproof receiver. 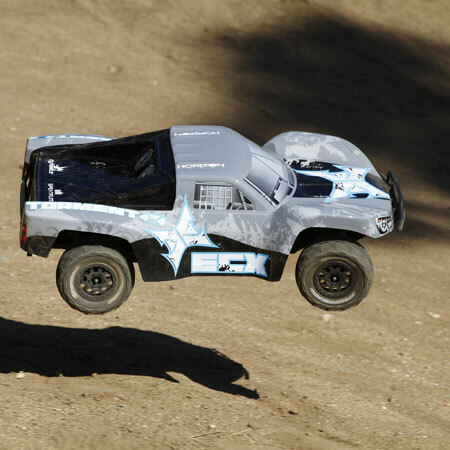 Horizon Hobby reveals the ECX 4WD Truck Lineup. They really are a great little RC. Can’t wait for the reviews.